This past Saturday I taught Aiki weapons at Southland Aikido in Monterey Park. Aiki weapons practice is an integral part of Aikido training, which utilizes the jo (wooden staff) and bokken (wooden sword) in both individual techniques and partner practice. In this class we practiced the most basic 8-move kata (series of individual techniques) and a 7-move kumijo (partner practice). We ended the class with a sequence of using the jo to defend against a bokken strike (called ken tai jo). Many people find Aiki weapons training to be a fun and exciting martial art in itself. 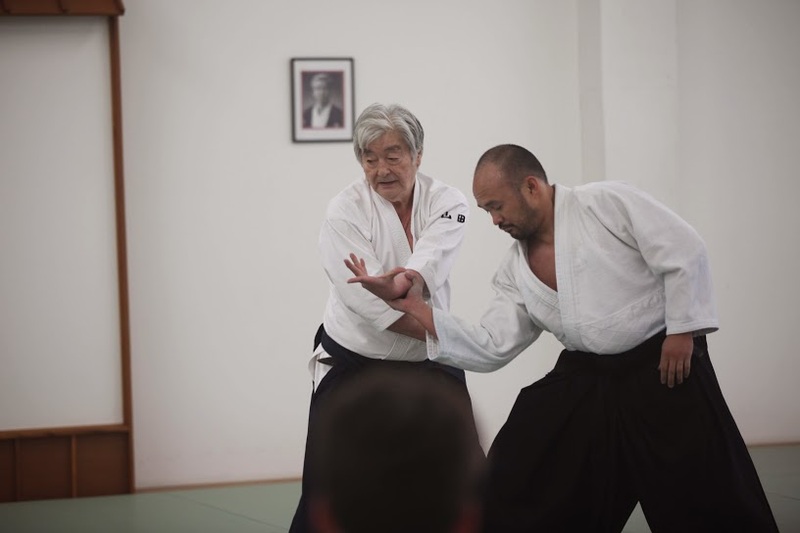 But why is it an important part of overall Aikido training? First, weapons work increases the sense of reality of an attack. A hard oak jo or bokken coming at you makes you want to move out of the way – an important principle of Aikido. Second, weapons training help to facilitate our sense of timing in defending against an attack. If too early we miss the parry; too late and we may get hit. Third, weapons work accentuates where we need to be not to get hit but also to be able to affect a defensive maneuver, thus facilitating our movement to a proper position. And finally, in Aikido it is important not to focus visually on the incoming strike, but rather to view the entire individual launching the attack. When the strike is coming from a jo or bokken, there is even a greater inclination to focus on the weapon. This provides an opportunity to counter this inclination and remedy the error. In addition to the training benefits for the individual in the defensive role identified above, there are also benefits for the person launching the strike. On the offensive side, weapon’s work sharpens the precision of our strikes and our movement to the proper position and distance for an effective strike. We also learn a variety of different strikes, which provides the opportunity to engage in multiple forms of partner practice. Perhaps the most important skill in weapons training from a safety standpoint is the ability to stop the attack on a dime, even if the strike is full speed and full force. This allows experienced students to engage in full-speed partner practice without the fear of serious injury.